Maui Motorhomes, part of New Zealand’s largest rental vehicle provider, has hand-picked some of New Zealand’s most picturesque wineries to create a new Winery Havens network offering wine lovers exclusive overnight vineyard stays from the comfort of their premium Maui campervan. The Maui Winery Haven experiences are only available to those exploring New Zealand in a Maui Motorhome and begin from just $140 dollars (approximately £84) per campervan per night. 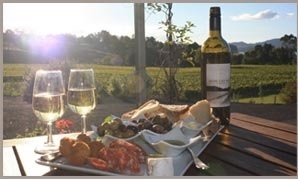 The package includes an overnight motorhome pitch at one of the five vineyards, a gourmet local food and wine hamper for two and access to a winery vintner. Guests are able to sample distinct New Zealand wines and learn about how old-world artistry is blended with the latest technology to produce award-winning wines. “Our Maui customers crave three things from their experience in New Zealand – stunning scenery, an opportunity to learn and a connection with real New Zealanders. The Maui Winery Haven concept delivers on all fronts with the beautiful vineyards for their overnight stay, education about the local foods and wines and a chat with the winery staff.” says Kate Meldrum, Group Revenue, Brand and Customer Experience Manager, “the feedback we have received so far from customers has been very positive”. Maui Motorhomes has been delivering unforgettable self-drive holidays for more than 25 years in New Zealand and Australia with a franchise in Southern Africa. A self-drive motorhome holiday offers travellers all the comforts of home at their fingertips whilst also having the flexibility to travel wherever the road may take them at their own pace. The Maui branches are located in major tourist hubs, including Christchurch, Queenstown and Auckland airports, making it convenient and easy to begin and end a motorhome holiday. Whether travelling as a couple, family or group of friends, the Maui range of automatic easy-drive campervans sleeping up to two, four or six people can accommodate every kind of trip. Stocked with kitchen equipment and freshly laundered bedding, guests can avoid excess luggage without sacrificing the comforts of home. A linen exchange, express return and free valet service (for customers spending more than 21 days on the road) are also available. Peace of mind is also only a free phone call away with the 24/7 helpline, manned by experts ready to assist. With a grape to tickle every taste bud, why not schedule a visit to one of the Maui Winery Havens?